I thought since I took the time to make this, I might as well try and get a post out of it. I forgot to add the ends to the zipper. This isn't critical, many pouches don't include them, but I really, really like them. I more often than not do one completely wrong thing in any project. Usually I catch myself while a seam ripper can still save me. Not this time. I thought I'd like it with more of the zipper tape exposed. I do not. 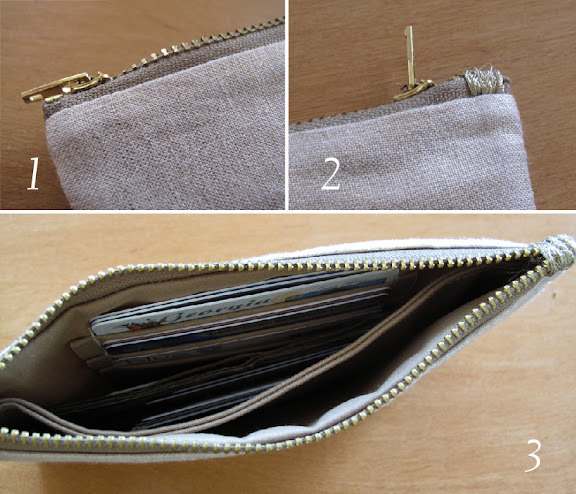 I also did this weird thing with gold thread at the end as a zipper stop. I wouldn't have tried this if I hadn't done number 1. It's about 2 inches too tall. This makes it dark inside and hard to read the bills and spot quarters from nickels. Maybe if it were shorter I wouldn't mind the divider as much. 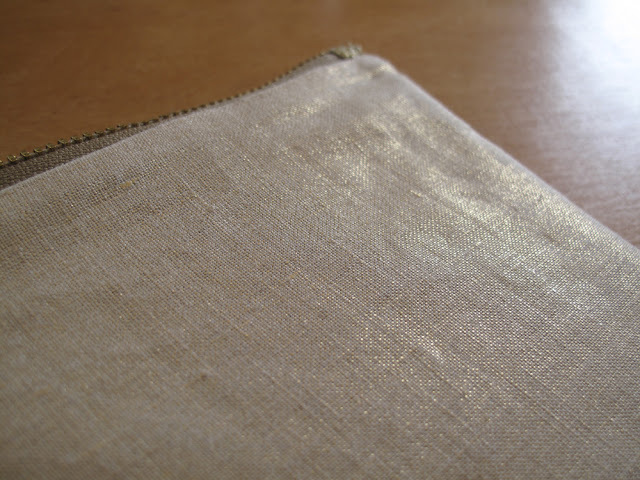 I still really love this gold linen though. And there you have it. Not a disaster. Not a success. A try. Thanks for this post. 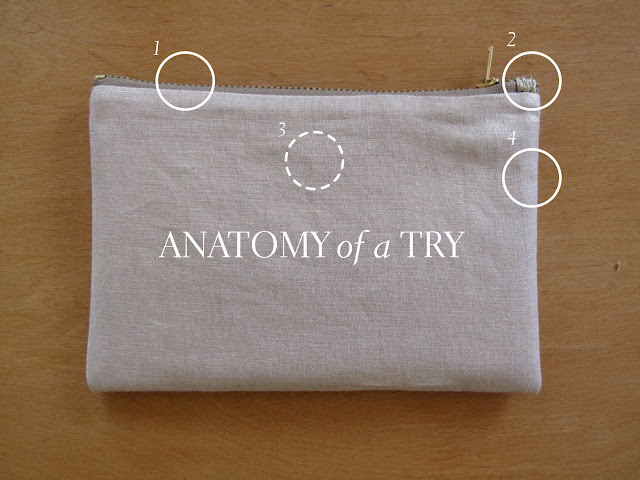 I'm so used to seeing picture-perfect products on blogs, so it's refreshing to see a (still extremely well-executed!) project that's evolving, that the maker is thinking through. This is much more like my experience of crafting, working things out as I go along, than a straight following of a pattern. I was already openmouthed in admiration at the mention of a zip . I mean , I can put one in a skirt .... if you're willing to wear a long cardi over it ! ... but putting one in a purse just seems too fiddly . And the linen's lovely . Restrained Bling ! Very simple and useful!!! thank you for the idea! I love how you framed this project. Cheers to an excellent try! And thank you for your previous tutorials on the clutches. I made one for my daughter and we both loved it.